Amazingly easy and incredibly powerful, these poses provide profound physical changes. Learn how to take care of your body as well as discover a deeper inner dimension that fuels your life. Apply your newfound abdominal abilities to the most challenging of yoga’s poses — backbends. Develop your ability to move the parts of your spine that are still stiff, through working with your abdominals and arms, in well-aligned, well-propped, and well-assisted yoga poses. You are likely to grow ½” or more in this series! It always amazes the doctors. Learn an accessible way to do the classical poses, the ones you see in yoga books and videos. 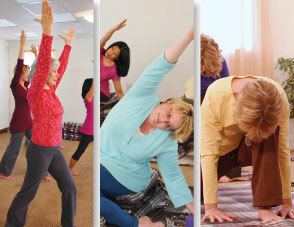 Regardless of your body size, shape or condition, you can do Svaroopa® yoga. We customize the pose to your readiness, while moving you beyond where you think you can go. Get the fullest benefit from yoga! And have a lot of fun! Forward Bends provide a profound feeling of surrender, serenity & letting go, accompanied by bliss. Discover the surrender in the midst of the effort, not only in yoga class, but in your whole life! Carry the openings farther up your spine, targeting the vertebrae behind your heart. This spinal release opens your heart, while it opens your breathing and lifts your neck. Even your jaw and sinuses get great benefit! Linking a series of poses together in a continuous movement with breath – vinyasa gets you moving. When you can stay open in the midst of moving through poses, you can stay open in the midst of your life. Take your yoga home with you! This theme focuses on the poses that make the biggest difference in your life - in the shortest amount of time. Each week gives you a new home practice that you can incorporate into your lifestyle. Get an immediate improvement in your neck and shoulders even in your first class. Tangible results keep you coming back for a whole month of healing. More than merely physical, you begin to reconnect your head and heart, giving you inner healing through the Svaroopa® yoga process of lifting and lightening your whole spine, all the way through your neck and head. Discover your effortless point of balance, and you discover more than mere steadiness and balance — your mind becomes wonderfully peaceful. Once you’ve developed this ability, we teach you how to apply to balancing upside down! 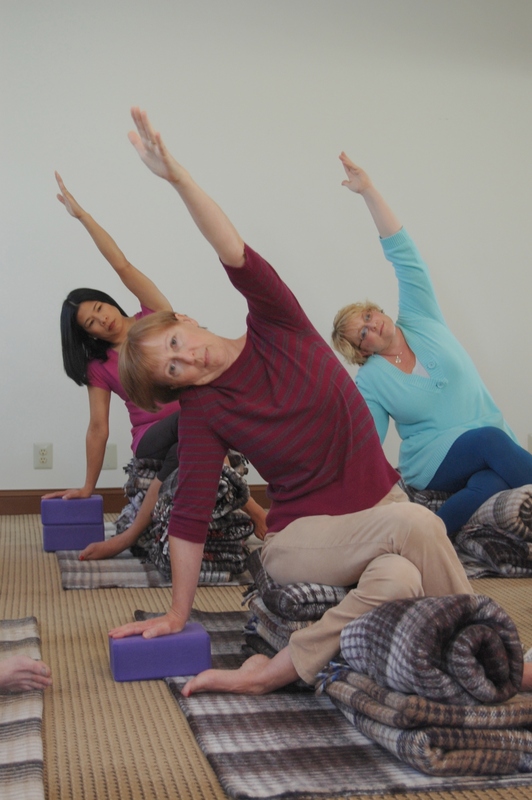 Often called “Bliss Yoga,” Svaroopa® Yoga is slower-paced, with careful alignments customized to your body's needs, making our classes both accessible and profound. We specialize in unraveling the layers of muscles wrapped around your spine. 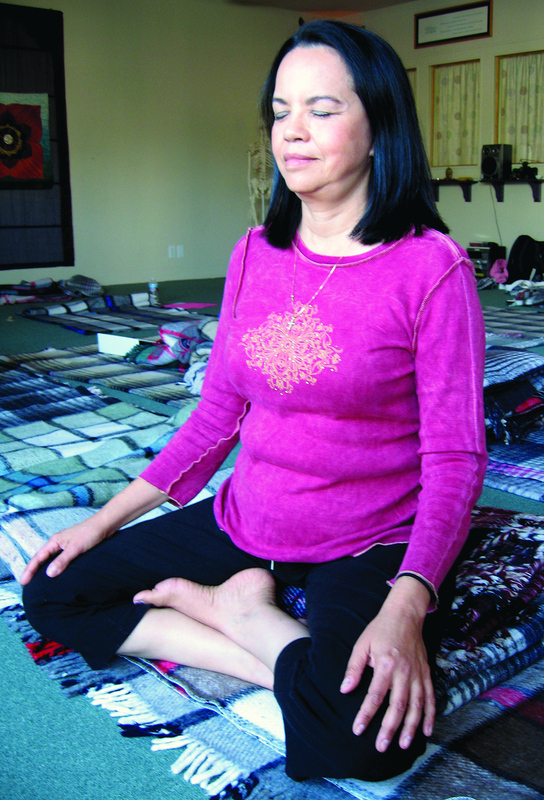 Each class is 90 minutes, and begins and ends with a guided relaxation (yoga nidra). You don’t need force in order to improve your body and to find peace of mind. Svaroopa® yoga uses a scientific approach to vibrant health and vitality, opening you to profound experiences of your own Divine nature. Discover how easy it is to feel better.